Most of these would be from aa4, since it's the game with my favourite characters. Especially the Gavins, aaah. 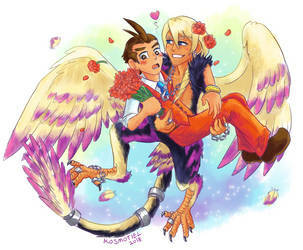 Apollo was my original favourite but then I grew on Klavier and then Kristoph. 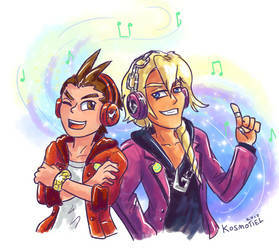 For now I like the Gavin bros. the most. 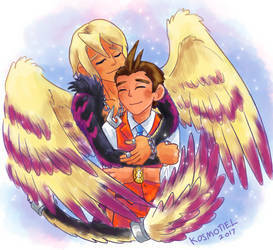 I have a devil Kristoph and Angel Klavier and it's funny because I've never had proper AUs before, but I'm so dedicated on it. XD I hope you find it interesting. Also I don't really like my old style anymore so uh, yeah. It's the stuff from 2016.